Leveraging over the skills of our qualified team of professionals, we are involved in providing Embedded Design service. 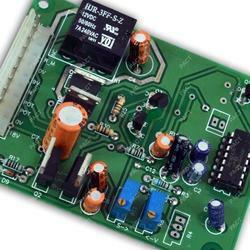 This Embedded Design service is provided by using advance technology and latest machines. Our service range is highly demanded amongst customers for its high reliability. - Relay for HVAC Application. - Driver for stepper motors upto 5 V.
- Two Digit Seven Segment Display. Leveraging on our years of understanding, we hold proficiency in presenting Embedded Design Services. Due to their hassle free execution, reliability and promptness, these services are highly valued by our patrons. In addition to this, our patrons can acquire these services at economical rates within stipulated time period. With its exceptional people comprising of software, domain, process and management experts make the difference in realizing objective. Multi - featured and flexible micro-controller / DSP based board are developed by to meet client's specific business needs. Integrated with modern technology, these play a prim role in meeting client's business requirements. Teq Diligent Product Solutions Pvt. Ltd.
We undertake development of Embedded system including hardware and software. It includes Sensors, Drives (such as Stepper Motor, Servo Motor, AC/DC Motor), Flash memory, PC application, mobile application, etc. We have a strong team to design reliable hardware and embedded software for wide range of products. With proven domain experience in the design and development platform, KIRSHI delivers extreme quality and care for finest performance of the products. The flexibility of the design helps to upgrade the product in future with little modification.